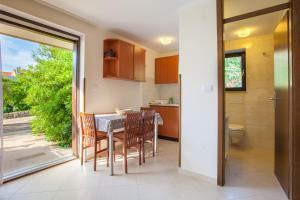 Excellent location and great apartment with anything you can need. Excellent hosts! Great hospitality: checked with us regularly that we had everything we needed, very helpful with local information etc. Apartment was comfortable with a good view, good sized terrace, efficient wifi, and comfy bed, and easy access to washing machine. Nice studio with appropriate equipment. Very kind host described us so many nice places to visit and recommendation for shops and restaurant. Thank you for your help. 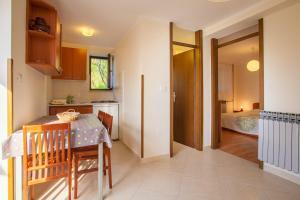 First of all, the apartment is as modern and beautiful as you see it in the pictures. The location is great, out of the crowded city center that can be easily reached with a 5-minute walk. You can also relax on the terrace which is aired and fresh also during the hottest hours of the day. The host is great, not intrusive, but always available for providing you with great suggestions on the places to visit. Very friendly and helpfully staff and very good situation (quiet and 10 min from the city center) The kitchen equipment was good (without microwave). 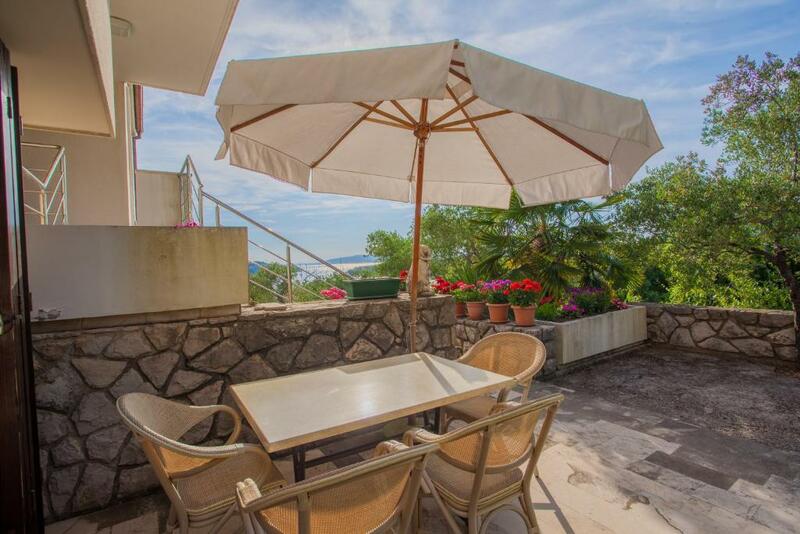 The owner was very friendly and kind, the view to the sea and the town from the balcony was astounding! Calm and beautiful neighbourhood, amazing price/quality rate. We will visit newxt year as well! Highly recommended! The host is excellent! They are friendly and helpful. Specially thanks to Mr. Ljubo's kindly help in solving problem about my car. Von der Substanz älter, ist das Appartement groß, komfortabel und gemütlich, schön eingerichtet. Bad ist blitzblank und neu; man kann sehr gut schlafen. Gute Gastro ist gleich um die Ecke! 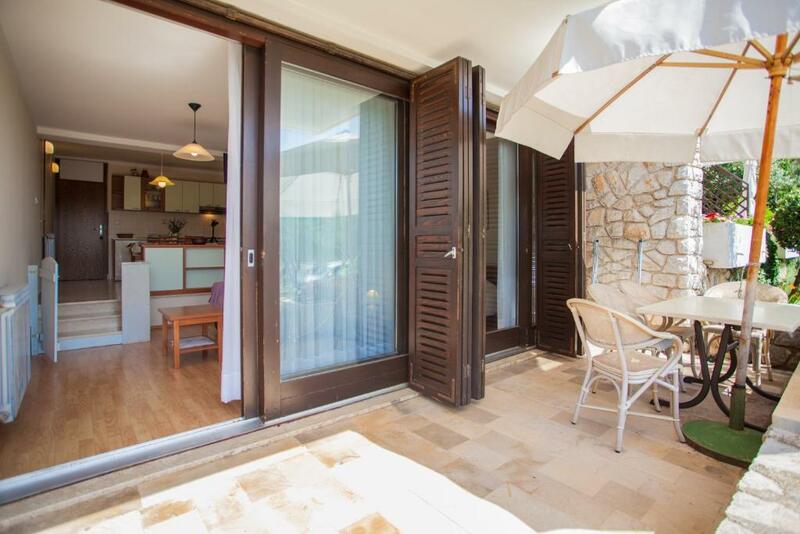 Lock in a great price for Apartments Ljubo & Lili – rated 9.2 by recent guests! Apartments Ljubo & Lili This rating is a reflection of how the property compares to the industry standard when it comes to price, facilities and services available. It's based on a self-evaluation by the property. Use this rating to help choose your stay! One of our best sellers in Cres! Surrounded by greenery, Apartments Ljubo & Lili is set in the small village of Grabar, on Cres Island. The property features a garden with outdoor barbecue facilities and panoramic views of the Adriatic Sea. Free Wi-Fi and free private parking are available. Studios and apartments are fitted with satellite TV and an equipped kitchenette. 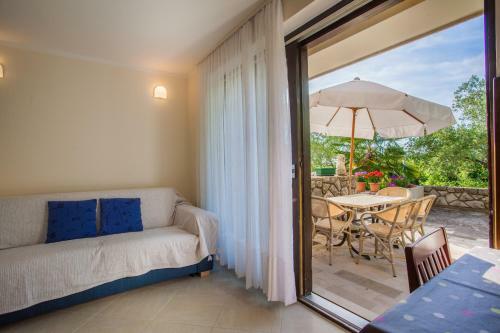 All units have a furnished balcony with sea or garden views. Cres town center is 2,650 feet from Ljubo & Lili. The nearest beach with a pine forest can be found 1,000 feet from the property. 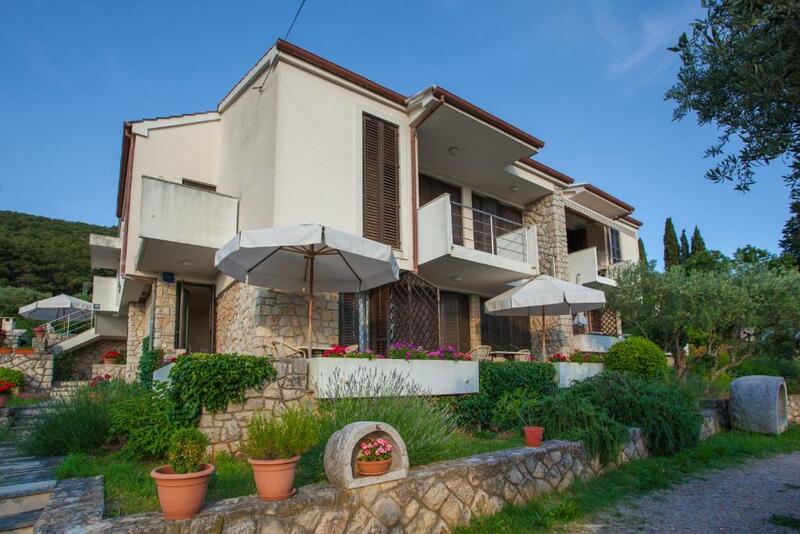 The nearest airport is located in Omisalj, 28 mi from Ljubo & Lili Apartments. 뀐 Located in the top-rated area in Cres, this property has an excellent location score of 9.1! When would you like to stay at Apartments Ljubo & Lili? 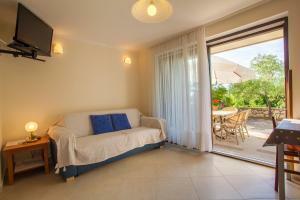 The apartment features a furnished balcony with sea views, an equipped kitchenette and satellite TV. The studio comes with satellite TV, an equipped kitchenette and a balcony. Vlasnici smo malog caffe bara i slastičarnice koji se nalaze u staroj jezgri Cresa. Radimo odličan sladoled koji možete kušati u slastičarnici "Bacio" na Trgu Frane Petrića. Volimo putovanja. Naša kuća nalazi se u mirnoj četvrti. U blizini je mali restoran i trgovine živežnih namirnica, a nedaleko ove četvrti nalazi se i marina. House Rules Apartments Ljubo & Lili takes special requests – add in the next step! Please inform Apartments Ljubo & Lili of your expected arrival time in advance. You can use the Special Requests box when booking, or contact the property directly using the contact details in your confirmation. 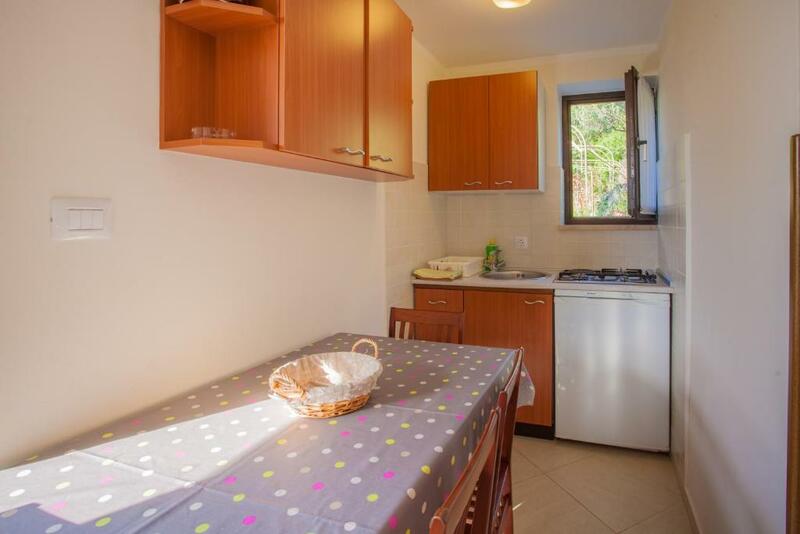 The kitchen is very small and not convenient.... but it is well supplied with kitchenware. Could not find anything bad. It’s the nicest host we met on the island . There is no air conditioning but we didn't miss it. The apartment has a shaded patio area and the internal space stays cool.